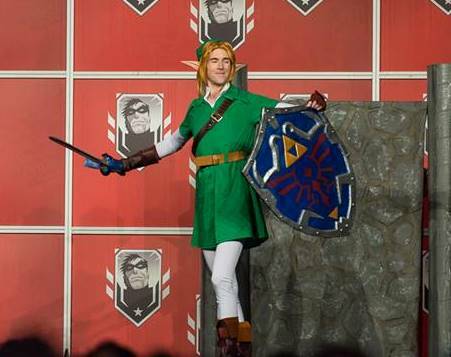 My friend Lisa from school really wanted me to make her the twilight Princess Zelda costume for her. This was my first armour project so it was both terrifying and interesting at the same time! 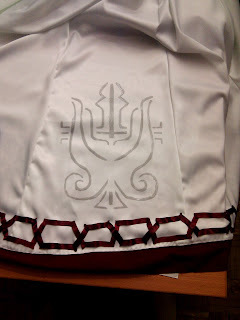 I'm really glad that I made this though since I now have the confidence to make more armoured costumes in the future! Dress - The dress was made using McCall's pattern M4491, view A. 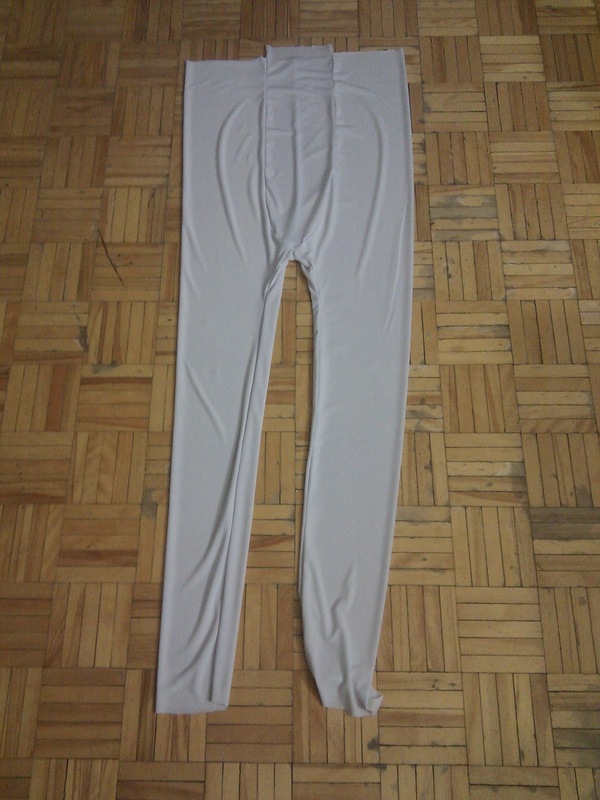 It was made out of a medium weight white satin. I had to make modifications to the dress once the parts were put together since the pattern didn't fit Lisa all that well. 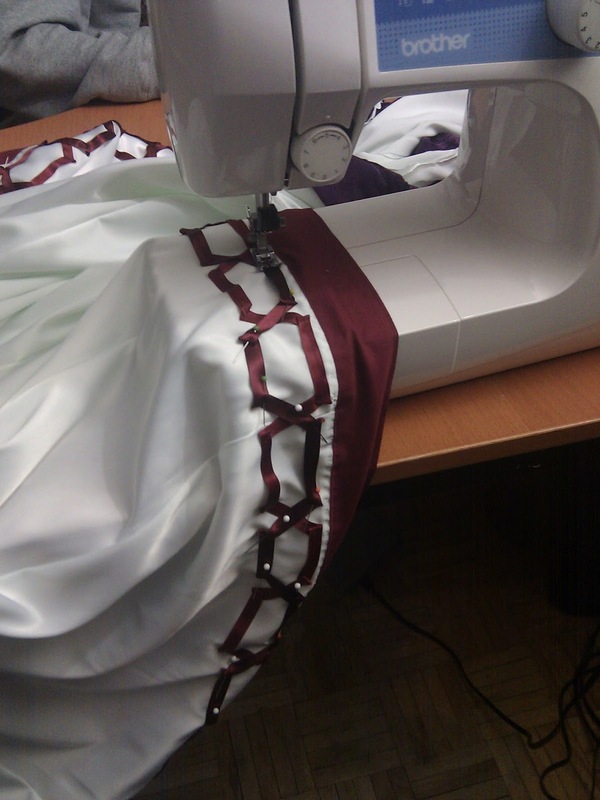 The bottom of the dress was edged in a burgundy trim in two forms; the plain strip and the crisscrossing pattern. The plain border was made out of a cotton bias hem while the crisscrossing pattern was made using two rolls of burgundy satin faced ribbon. 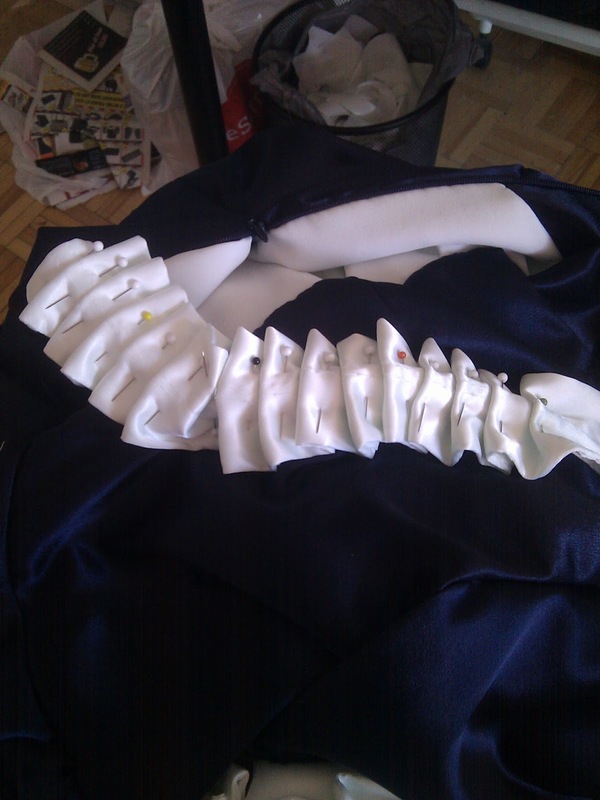 The ribbon was first laid out in one layer, then the second layer that completed the look was sewn on after. 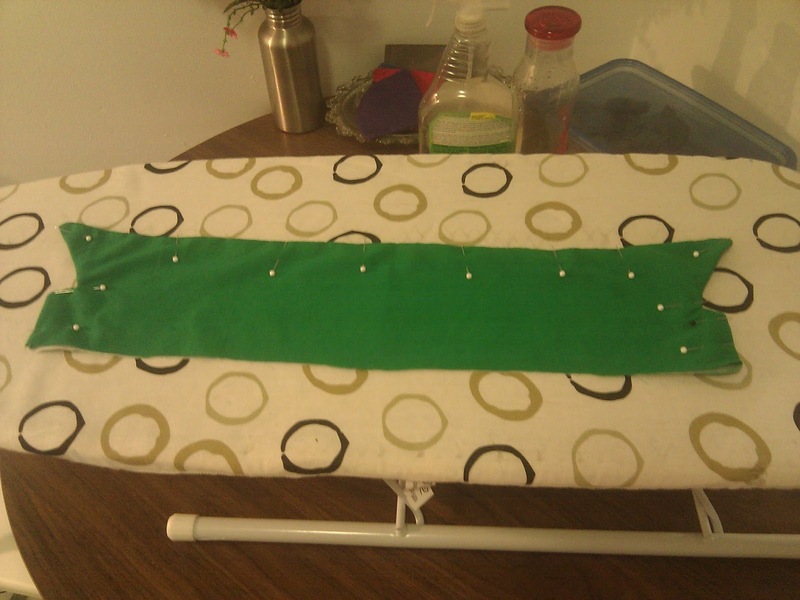 The corners are all continuous ribbon, each having been folded and pinned in place prior to sewing. The silver pattern along the hem of the dress was created using a stencil made from heavy drawing paper and silver acrylic paint. The stencil was drawn out on the folded paper and then cut out using a craft knife. 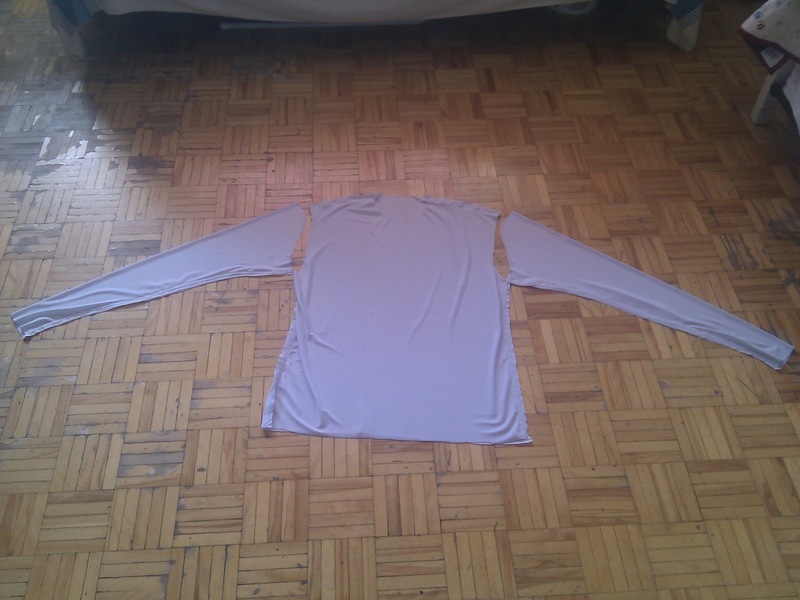 Keeping it folded while cutting kept the pattern symmetrical. 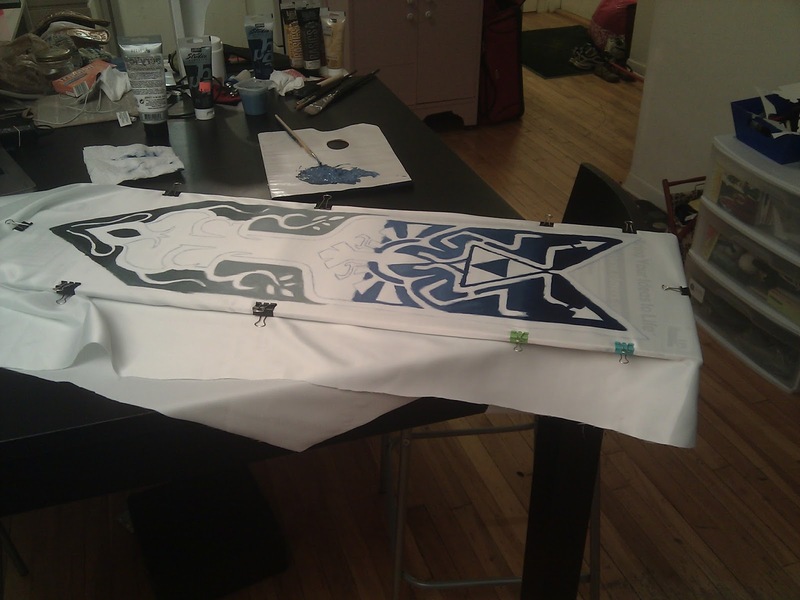 When it was time to paint the pattern, the stencil was pinned to the dress and a piece of cardboard was placed under the painting area to prevent the paint from soaking through and touching the table. A sponge brush was used to tap the paint into the stencil. 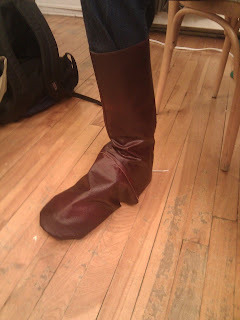 This was done eight times to complete the hem design. Tunic - The pattern for the tunic was created using the same one for the dress but modified to fit the specific shape of the hem. 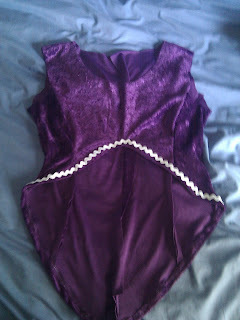 It was made out of a purple crushed velvet and attached to the dress along the neckline, shoulders and back opening. 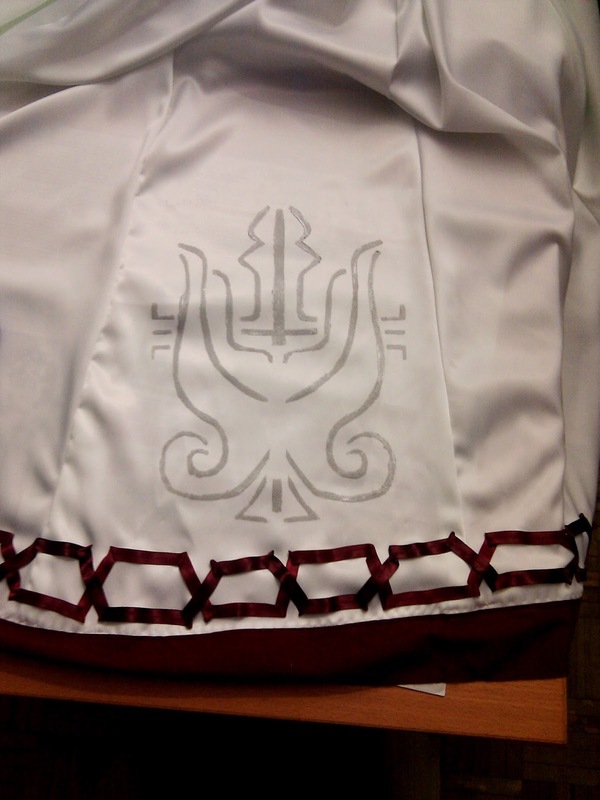 The lace up part of the dress was attached to the back of the dress over the tunic and this was made out of the tunic fabric. The white design along the edge was mimicked by adding a white wavy trim. Gloves - Lisa doesn't like having her hands covered especially during the summer months so we opted for gloves that only covered her arms, which technically makes them arm socks. 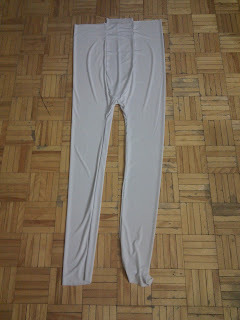 They were made out of a white spandex for the main part and blue spandex for the upper trim. The silver designs were painted on while she was wearing them with acrylic paint to prevent the paint from cracking. Pauldrons - The pauldrons were the scariest thing to attempt making from this costume. I came up with several drawings of them before I decided on a pattern. I made them using three main parts; the top of the pauldron, the "wing" and the little insert between the wing and the top. I also had to make the center piece that lay between the pauldrons. I had to play with the pieces a bit to get the right shape and size of each. The final shapes were cut from EVA floor mats from the dollar store. All the detailing were just strips of the EVA foam with the top edges cut to try and round it out. The pieces were glued together using contact cement while the detailes were glued on with hot glue. 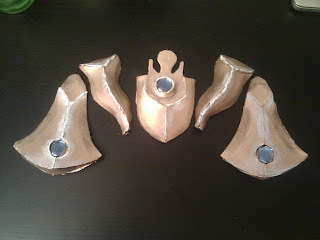 Some of the finer details such as those swirls on the top of the pauldrons were made by drawing them with hot glue. The centerpiece was made out of craftfoam and the thicker EVA foam with expanded cut detail lines. 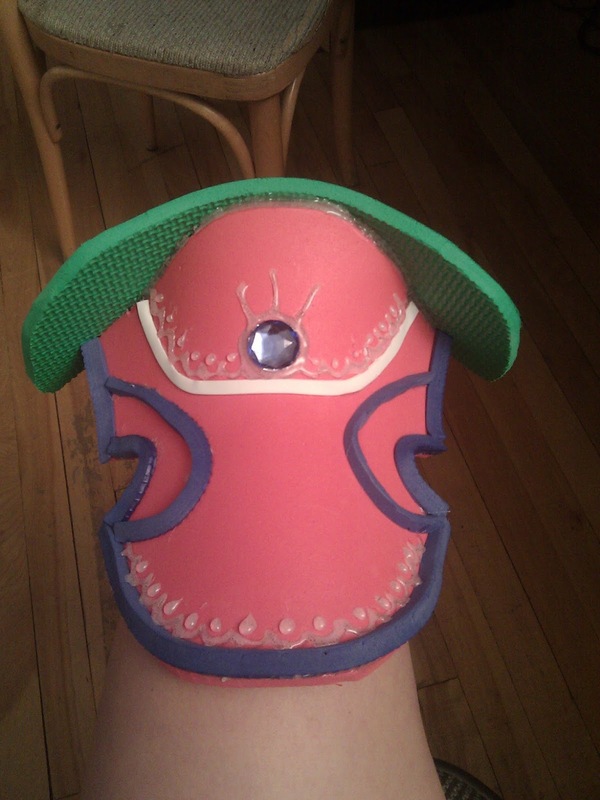 The jewels that are inlaid in each piece were glued on with hot glue once they were all assembled. I covered the jewels with tape then painted a couple layers of gesso over them, then spray painted them black. I spray painted a gold layer over the black then added highlights by hand. 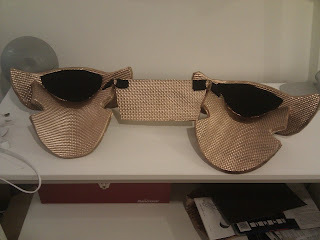 The pauldrons were attached to the center pieces by means of rings and fabric ties. 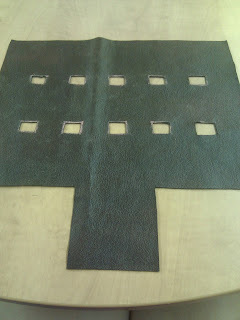 Strips of black felt were cut and two strips were assigned to each ring which in turn was assigned to each attachment. 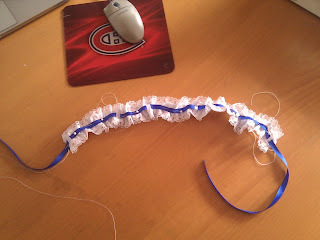 The felt pieces were wrapped around the rings and glue together. The glue end of the felt was then glue to the inside of the pauldron pieces. The whole assembly put on over the head since the attachments are all fixed. 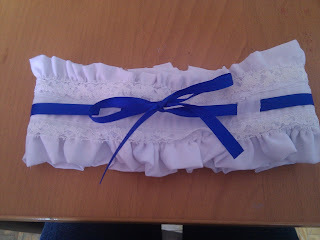 Belt - The belt in the source material has a distinctive 3D-ness to it and I wanted to portray that in my crafting. I decided to use craftfoam for all of the pieces. Each piece was patterned out, then glued together to create three dimensional objects. Needless to say, all of the pieces turned out to be hollow. 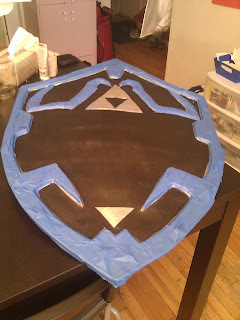 They were primed with white glue and gesso, then spray painted a base coat of black before moving onto the gold paint. The highlights were added afterwards with a paintbrush and white acrylic paint. The belt pieces attach to each other the same way as the pauldrons. They are also attached to a chain and clasp in the back. 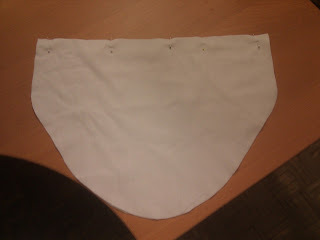 Tabard - The tabard was made using the same white satin as the dress. Lisa was in charge of drawing the design since she wanted to help in the making of the dress. Once the pattern was drawn out, I started painting the gradients. The green has a gradient with five different shades of green while the blue has seven shades. The gradient was painted slowly, with the different shades layering over each other to blend it together. The fine details were painted last. 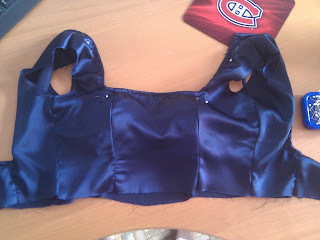 Once it was all dry, it was cut from the fabric and the edges were fray checked. 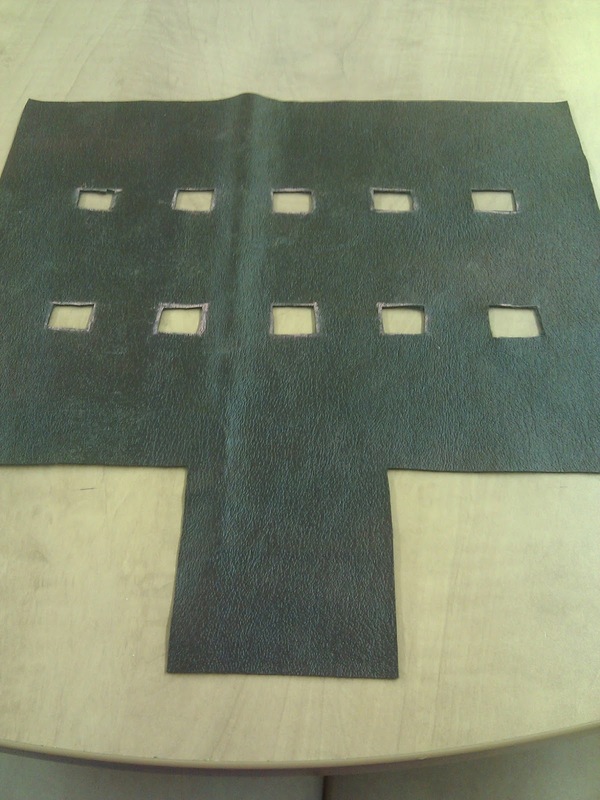 Two eyelets were inserted into the top corners so that it could be attached to the belt. 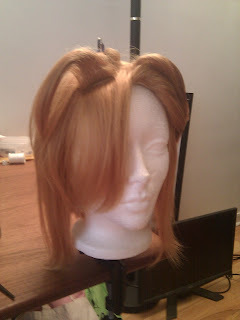 Crown - The crown was also made with craftfoam and a wire base. The pieces were detailed with hot glue and primed with white glue and gesso. A black under-layer was spray on, followed by a gold over-layer and finally little highlights and shadows were handed by hand.